is originally from Phoenix, Arizona. He holds the Bachelor of Music in Music Education/Theory and Composition and a Master of Music in Composition from Hardin-Simmons University in Abilene, Texas and a Diploma of the Faculty of Fine Arts in Music with a specialization in Symphonic Band and Wind Ensemble from the University of Calgary. Among his teachers was the late Andy J. Patterson, a student of Arnold Schönberg. Major Brittain served twenty years in the US Army, primarily as a bands officer. He also had a tour as Assistant Professor of Military Science at the University of Central Arkansas. He served as Commander and conductor of the US Continental Army Band at Fort Monroe, Virginia at the end of the Bicentennial, and followed that tour as Assistant Commandant of the US Army Element, School of Music. 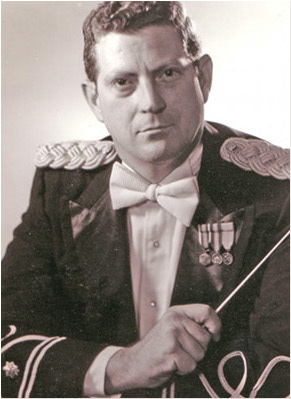 After retiring from the Army in 1990, Dan became the first band director for Christopher Newport College, Newport News, Virginia. He then became Choirmaster at St Peter’s Episcopal Church in Cazenovia, New York. Returning to public education, he taught band in Eastland, Texas in the late 1990's. He returned to Arkansas and was director of bands for Green Forest Public Schools and then was Director of Bands in Jasper, Arkansas until his retirement. He has written works for chamber music, chorus, orchestra, wind band, and brass band, as well as several solo works. Publications include tunes in the 1991 edition of The Sacred Harp, The Sacred Harper’s Companion, The Millenial Harp, September Psalms and a new edition of the 1820s Missouri Harmony, for which book, released by the Missouri Historical Society in May 2005, he was principal engraver. 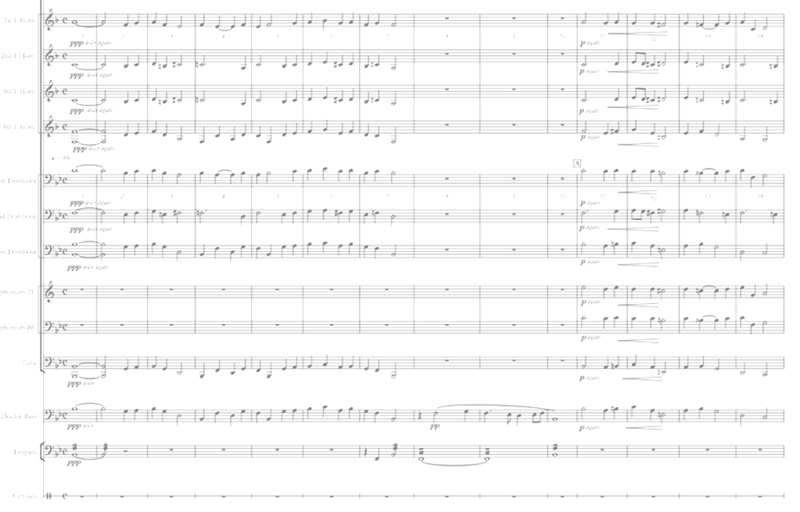 “Memorial Anthem,” composed by Dan with Bruce Randall of Massachussetts, was included as a sample file (shape notes) as part of Sibelius notation software from release 1.4 in the late 1990's through version 5. 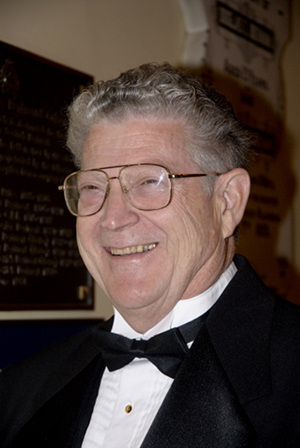 Recent performances include original choral works sung at Kansas City’s Grace and Holy Trinity Cathedral in 2003 and again in 2010, his revised version of Laurendeau's transcription of Verdi's Overture to Nabucco by the concert band of Hardin-Simmons University in November 2008 and The Ozark Mountains British Brass Band's performance in Eureka Springs of his setting of Sousa's Presidential Polonaise in September 2009, on the 80th anniversary of Sousa's band opening the Eureka Springs Civic Auditorium. Also, Fauré's Pie Jesu and Agnus Dei by the Pensacola Civic Band October 26, 2010. His brass band version of the Pie Jesu was performed by the Ozark Mountains British Brass Band earlier in October 2010. Dan continues to play euphonium with the Ozark Mountains British Brass Band. He and his wife Myrna have three children and 4 grandchildren. He is an annual presenter at the Arkansas Folk Center State Park's National Shape Note Gathering. He is a member of the Arkansas Bandmasters Association, a Life Alumni Member of Phi Mu Alpha Sinfonia, a life Member of the Association of Concert Bands, a past member of their National Board of Directors; and a past member of the Board of Directors of the Cowboy Band Foundation. 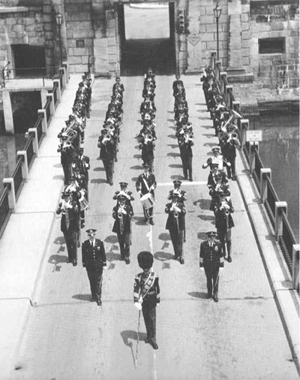 The middle photo at the top of this page shows the Continental Army Band outside the North Sallyport of Fort Monroe, Va., in 1978.